A Snohomish County child has been admitted to Seattle Children’s with symptoms of a rare, polio-like illness, bringing the total in the mysterious Washington cases to nine, health officials said Tuesday. A 6-year-old Bellingham boy in the cluster has died. A Snohomish County child has been admitted to Seattle Children’s with symptoms of a rare, polio-like illness, bringing the total in the mysterious cluster of Washington cases to nine, health officials said Tuesday. Notice of the new case comes a day after the death of a 6-year-old Bellingham boy, Jonathan Daniel Ramirez Porter, known as Daniel, who was suspected to have acute flaccid myelitis, or AFM. Two of the children admitted to the hospital this fall have been confirmed to have AFM, an unusual disease with no clear cause characterized by limb weakness and a specific type of spinal-cord lesions, said Dr. Manisha Patel, a medical officer with the Centers for Disease Control and Prevention (CDC), who working with Washington state officials to investigate the cases. The rest of the children, including Daniel, have not been confirmed to have the condition, she added. Five were previously released from the hospital. 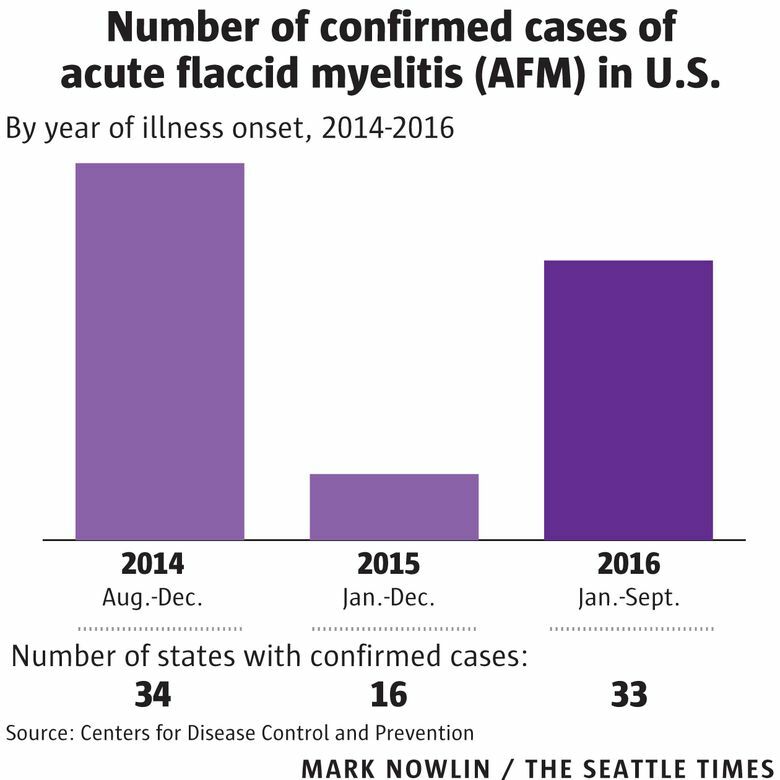 None of the cases share a common infection, illness or other link, said Julie Graham, a spokeswoman for the Washington State Department of Health. “There’s nothing that points to an individual cause for any of the cases or a link between the cases,” Graham said. 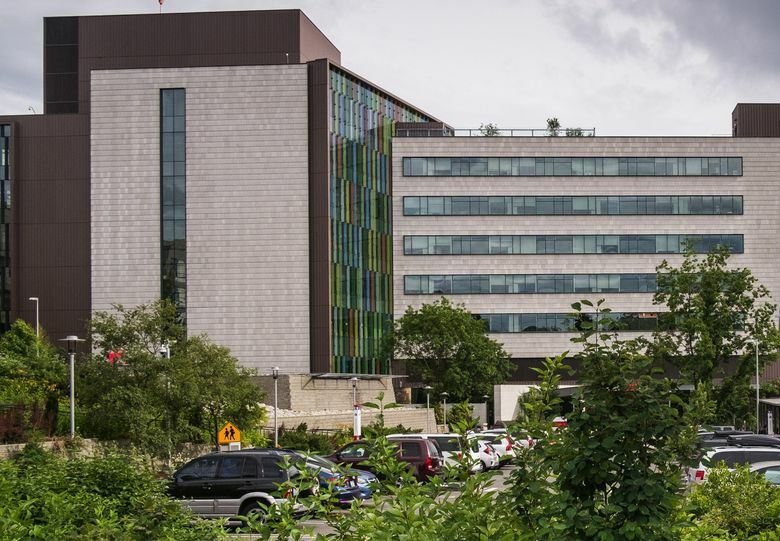 The latest child in the cluster was admitted Sunday and reported to health officials Monday, a spokeswoman for Seattle Children’s said. The children affected range in age from 3 to 14. They include three from King County, one from Snohomish County, one from Pierce, and two each from Franklin and Whatcom counties. Graham specifically noted there is no apparent link with being recently vaccinated against common childhood illnesses. “There is no evidence with AFM that people who are vaccinated are any more or less likely to come down with AFM,” she said. The first Washington case was seen in mid-September. The apparent cluster comes amid growing concern about an uptick in cases of the illness, Patel said. The CDC said Tuesday that 89 confirmed cases of AFM have been reported in 33 states this year. That follows 120 cases reported in 34 states in 2014, and 21 cases in 16 states in 2015. AFM is a syndrome that appears to be linked to various germs, including enteroviruses, West Nile virus and the virus that causes the common cold. It appears that people who develop AFM have an abnormal reaction to a normal, even common, illness. In 2014, CDC investigated a link between cases of a specific enterovirus, EV-D68, and AFM. In the Washington cases, there’s no evidence of that virus, Patel said. There are no definite public-health interventions to prevent AFM. Parents should make sure kids follow standard recommendations: Wash hands often with soap and water, avoid close contact with sick people, and disinfect common surfaces, especially if exposed to someone who’s sick. If a child develops sudden limb weakness or paralysis, parents should seek medical care immediately. State health officials are working with the CDC to monitor and evaluate the cases.